Welcome to the best guide to learning about how to deal with a child behavior problem for parents and professionals, including ADHD in children, Autism treatments, and access to FREE chore and behavior charts for kids. As a Board Certified Behavior Analyst (BCBA) with more than 19 years of experience working with children at many different levels of need, with many different challenges and as a mother of THREE myself, I completely understand what you are going through. I have tried my best to incorporate useful information on this site that can be used by any parent or professional no matter what challenges you are having. However, I know sometimes it can be difficult knowing what you are looking for or where to start. 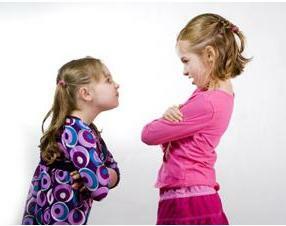 Dealing with child behavior is a constant battle with consistency, creativity, and keeping your sanity. If you are faced with challenging behavior and don’t know why or would like to know reasons why an individual may be behaving this way, be sure to review the following information that can help to identify any possible underlying conditions. These can be your best resources in determining why children may be behaving a certain way and in helping you decide what your best options are for helping that child. 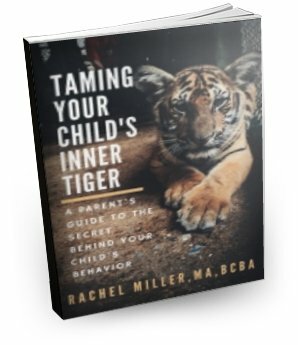 However, don't forget to check out my FREE Ebook that provides prevention strategies for all children titled Taming Your Child's Inner Tiger. • Ask me a Question for more personal help. Finally, you won’t want to miss the FREE printable Charts. These are wonderful for helping your child monitor his/her own actions, getting children to do chores and helping to increase communication between you and your child. Chore Charts- including a chores list by age. Feelings Chart- to help your child better communicate his/her feelings and significant events that happened during the day. Thanks for visiting and I will be adding more pages, so sign up for my eNewsletter and Blog or come back soon for up to date information!